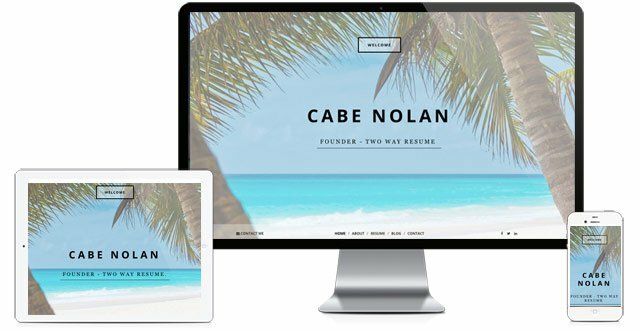 The most affordable way to build a personal website. Start for free. All paid plans include your own custom web address, yourname.com. All users have the ability to easily upgrade from a free plan to a paid plan at any time. All paid plans include a free custom web address (domain name) such as yourname.com. Did you know? 90% of first impressions are now made online! What is your online reputation telling potential employers? Sign-up for the Two Way Resume newsletter where we share step by step processes to build your online reputation. Never be looked over by a potential employer ever again!